Your typical mirage occurs in a desert, wasteland or similarly hot and isolated locale, and is normally something that appears, rather than something you seek out. What you see here is also a mirage, but located in the snow-capped Swiss Alps and a destination you need to add to your bucket list posthaste. 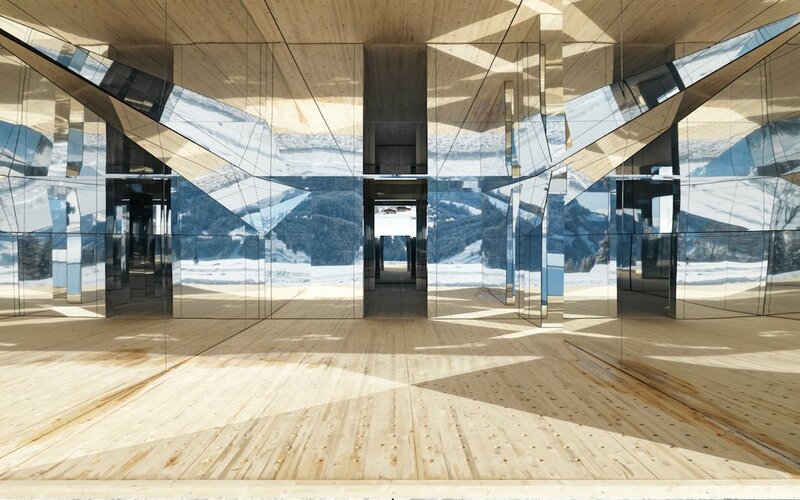 It’s called Mirage Gstaad, an installation by American artist Doug Aitken, and it’s a house that (apart from the floor) is covered entirely in mirrors. If you think you’ve seen it before, don’t worry, you’re not hallucinating, different versions have been installed in both the desert in Palm Springs and a former bank in Detroit. Like those, this house is open for visitors to explore. 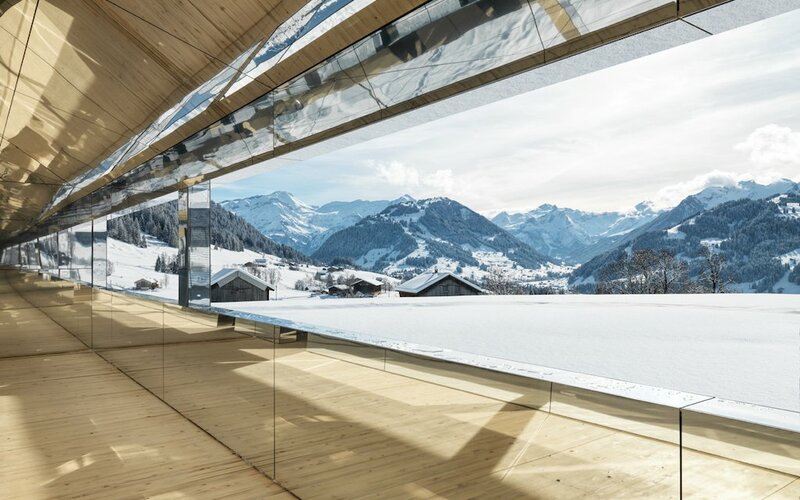 The installation was part of Elevation 1049: Frequencies, an art festival held in the alpine resort town of Gstaad, Switzerland from February 1st to 3rd. But Mirage Gstaad will be open for two years, until January 2021. “The viewer can come back to the piece as the seasons are changing, in fall in a storm or in the summer when it’s a green pasture,” Aitken told Dezeen. First, you’re going to need a place to stay in Gstaad, like this chalet-style Airbnb or one of the many other options. Next, take the train to the Gruben or Schönried station (there’s no parking near the installation). Hike to the house (GPS coordinates: 46°29’53.4″N 7°17’11.1″E) via trail. Here’s a rough Google Maps plan, but once you get to Gstaad, someone will point you in the right direction. Start planning that Swiss Alps trip now. 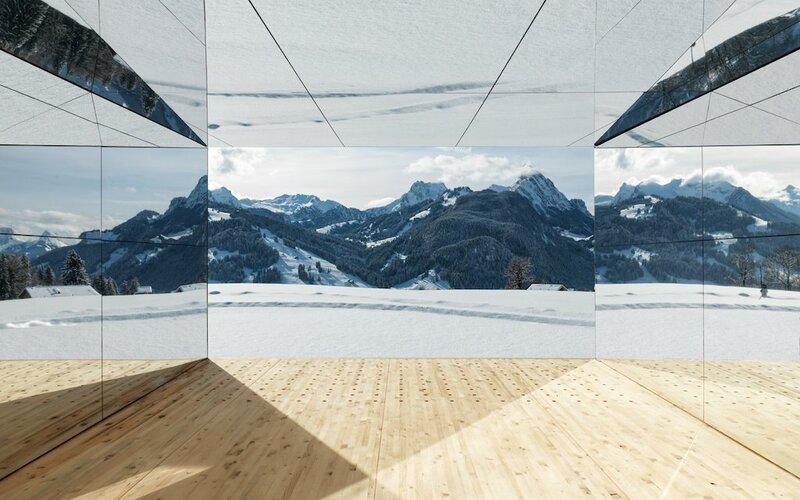 Photos: Doug Aitken, Mirage Gstaad, 2019, part of Elevation 1049: Frequencies, Gstaad, Switzerland. Image courtesy of the Artist; Photo by Stefan Altenburger.